A memorable tribute spray with germini flowers, roses, cymbidium orchids, carnations and traditional white lisianthus. This arrangement is skilfully arragned by our professional florists. 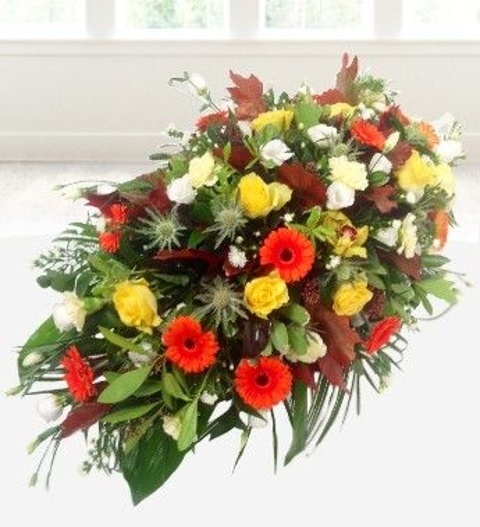 All funeral arrangements are hand delivered direct to the funeral.